On two days 14th and 15th December 2018, Hong Ngoc General Hospital has cooperated with Next Wellness International (NEXWEL) Japan to organize the workshop themed as “The use of stem cells for treatment of diseases, especially knee osteoarthritis and diseases”. Despite the fact that there are some medical institutions in Japan are providing stem cell therapies, NEXWEL is the only one to have the exclusive contract with the United States, offering the most advanced stem medicine nowadays. The stem cell therapy opens a promising future where those who have diseases related to joint, including knee, shoulders, and belts would be well treated. Particularly, the effectiveness of treatment is improved not only in the elder patients but in patients with external trauma and injuries. NEXWEL has gained significant achievements, bringing great benefits to patients. The institution is conducting researches in using both autologous stem cells and stem cells of healthy people for Cell Renewal Therapy. NEXWEL also would like to exchange knowledge in this field with doctors and experts in Vietnam. Overview of “The use of stem cells for treatment of diseases, especially knee osteoarthritis and diseases” workshop. 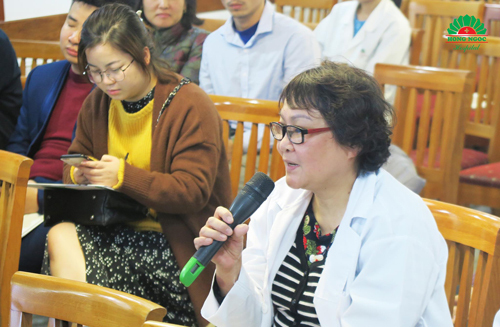 Taking this opportunity, Hong Ngoc General Hospital cooperated with NEXWEL to organize the workshop on “The use of stem cells for treatment of diseases, especially knee osteoarthritis and diseases”. The workshop allowed participants to update the latest treatment methods, meeting the increasing demand of patients. The workshop was attended by renowned speakers and leading specialists, including Prof. Dr. Shinichi Mizuno – NEXWEL Director and Prof. Dr. Tatsunao Sugiura – CEO of NEXWEL, with useful presentations. 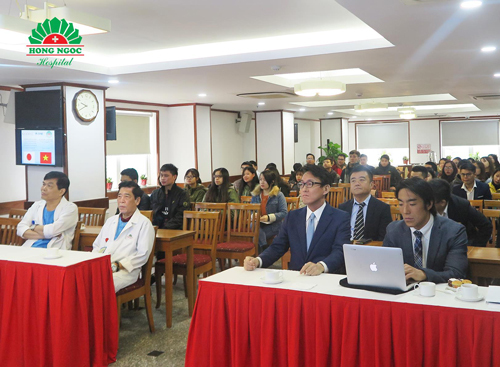 The event also attracted attention of doctors from Viet-Duc Hospital, 108 Central Military Hospital, Bach Mai Hospital and more. 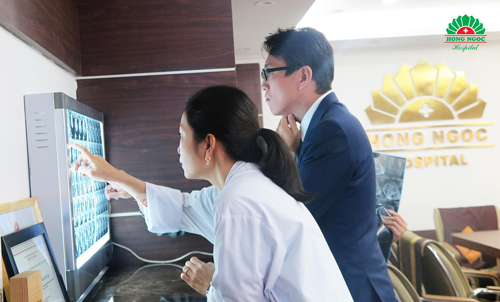 From Hong Ngoc General Hospital, Dr. Cao Doc Lap – the hospital’s director, Dr. Tu Duc Sac – Deputy Director and specialists in related departments partook in the workshop. According to recent statistics, in Vietnam, the number patients who are suffering from joint arthritis – one of the diseases which could easily make patients disabled – account for 23.3% of people over 40 years old. Worse till, the rate of patients under 50 years old has rapidly increased. This is no longer the disease of the old. Meanwhile, knee and joint treatment in Vietnam much depends on surgery, medications and alternative medicine, which offer low efficiency, require long time of treatment and have high recurrence rates. To face with these problems, the workshop focused on the treatment of knee pain using stem cells, thus improving the effectiveness of health care services. The treatment using stem cells boast various advantages such as short treatment time, no impact on health (when using autologous stem cells), less complications, applicable to patients who have cancer, heart failure, kidney failure, so on. Moreover, the complete cure rate is up to 83% after only one course of treatment. During the workshop, participants were excited to exchange opinions and knowledge with experts from NEXWEL. Numerous helpful questions were put to the speakers and completely answered. Within the framework of the event, the Japanese specialists also examined and consulted for 16 registered patients. “In the coming time, Hong Ngoc General Hospital will keep promoting new techniques to improve treatment quality, satisfying our customers. 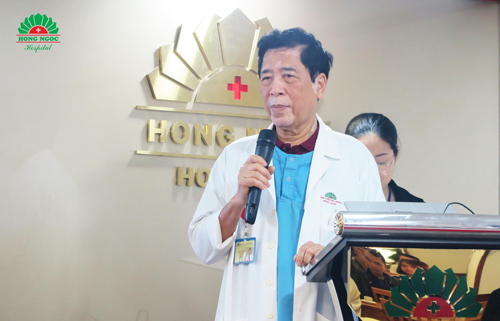 We do hope that Japan Vietnam Health Bridge company would strengthen its role of connecting Japan-based medical institutions and Hong Ngoc Hospital for further successful cooperation”, said Dr. Tu Duc Sac – Hong Ngoc General Hospital’s Deputy Director.